Wash the figs first. Dry them using paper kitchen napkin. Cut off the hard stems. With a knife cut the figs into quarters leaving about 1/3 at the bottom uncut. 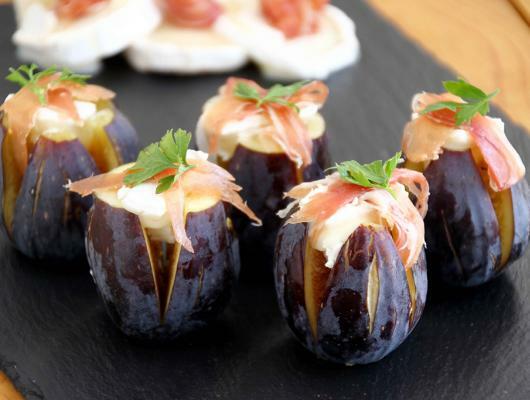 Place a small piece of cheese as well as a piece of Jamón inside the fig. Transfer onto a serving plate & enjoy! Figs are one of our favourite fruits and we can never get enough of them! 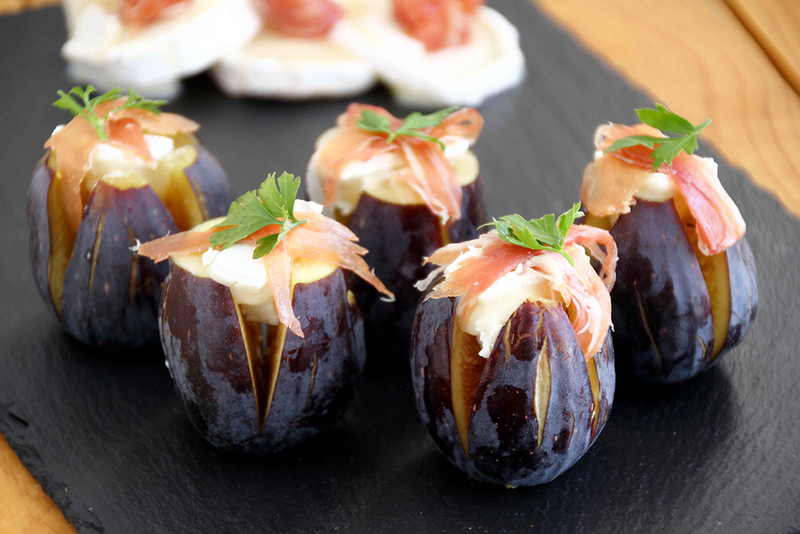 If you are like us or just like to try new flavours, why not try this delicious appetizer! A blend of 3 distinct flavours in a single bite!